For those who seek for the absolute privacy and the incomparable view of the Caldera and the Volcano, we offer a unique residence of the 19th century, fully renovated and equipped, with a spacious courtyard just to experience the most relaxing moments of your lifetime! 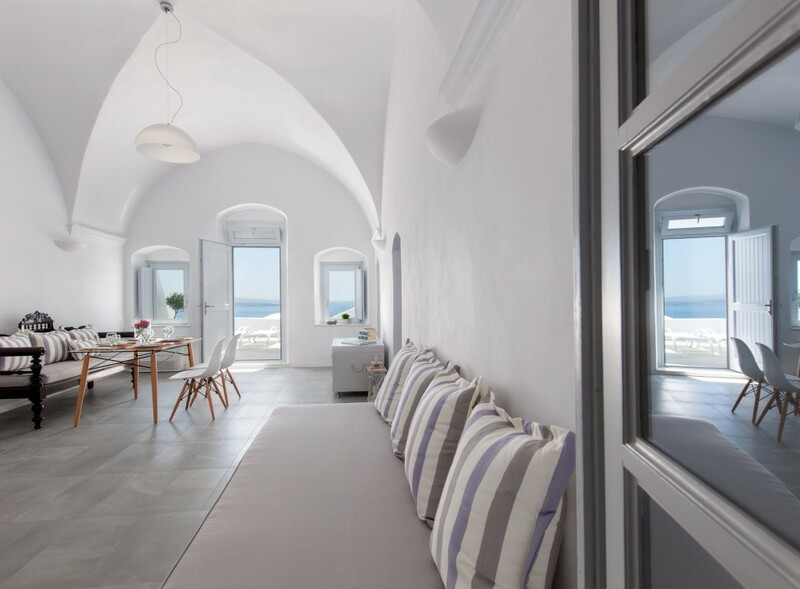 Admire the distinctive elements of the cycladic architecture and the most magnificent groin (cross) vault you have ever seen! Through the windows of the spacious living room sun softly lights up the entire living space and gives you a sense of serenity and tranquility. Indulge in the comfort of our built-in sofa and enjoy the romantic – splendid atmosphere of our cave villa. 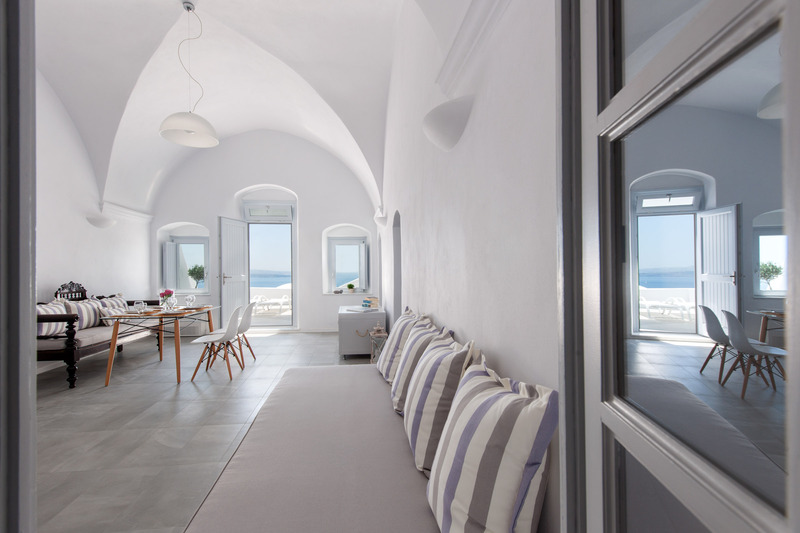 Carefully designed bedrooms with built-in Queen size beds emphasize the simplicity of the cycladic architecture. The master bathroom with the unadorned lines, the built-in furniture and the spacious Jacuzzi chromotherapy hot tub guarantee a truly relaxing experience. Escape from the ordinary and experience the beauty of Evmenia Luxury Cave Villa!